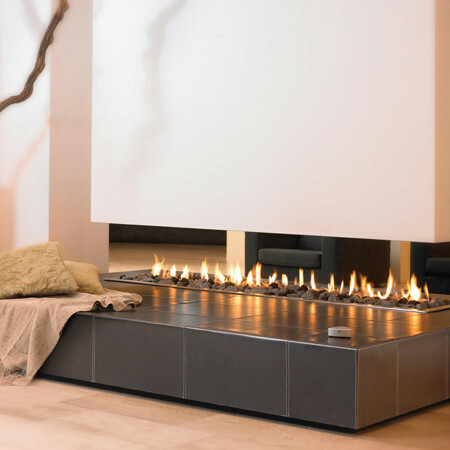 The ultimate modern gas fire, the suspended linefire with its suspended canopy can incorporate a single flame up to 2.4m in length – the longest available on the market. 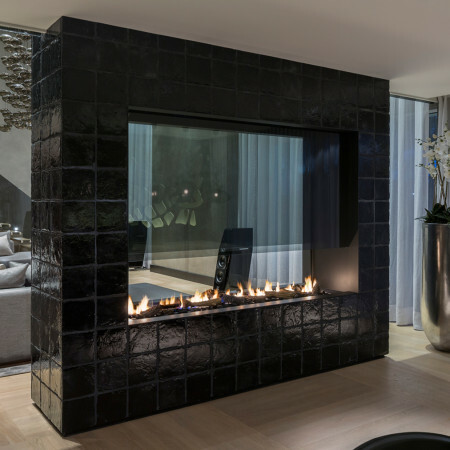 With its full length dancing flame, this suspended fireplace represents fireplace luxury at its finest. At the push of a button the fire is ignited and the dancing flames twinkle and mesmerise along its length. The suspended fireplace with its floating canopy means the open flames can be viewed from all aspects. A suspended fireplace such as this is a fantastic design to incorporate in a large open space to create a stunning focal feature or it could equally be incorporated between two rooms. A television could also be incorporated into the floating top section for added wow factor and as another alternative, the hung canopy could be make up of glass up to eye level to provide an amazing “see through” factor. 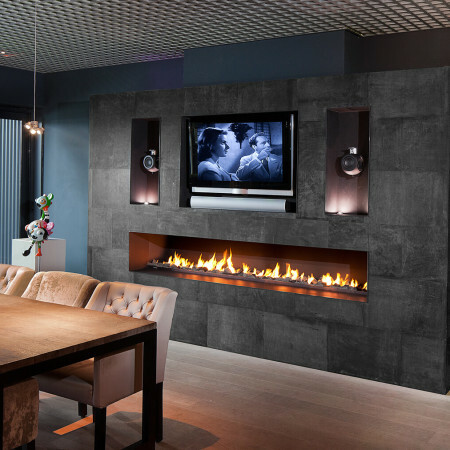 Speak to a Design Consultant to see how a suspended fireplace could be incorporated into your project and discuss all the potential options.